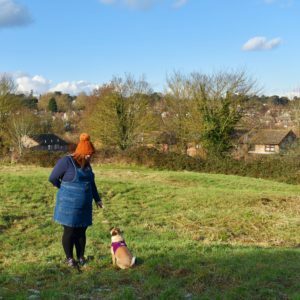 I wanted to write a little update about counselling and how I feel in general. Every Wednesday I am having an hour-long session with a counsellor online and we discuss anything and everything, as per my previous post. At the end of each session we set goals and sometimes some reading material to help me over the next week. Last week felt really negative; not because it didn’t go well but because I basically spilled the contents of my head to my poor counsellor and expected life changing results over night. By the weekend I found myself wrought with worry and sadness and I sat myself down and gave myself a good talking to. Yes, that sounds insane but I gave myself an emotional kick up the arse and tried to turn things around. I was asked to keep a thought diary which I failed at. I say failed because that’s the way I see it but my counsellor(Fliss) tells me this may just not be suitable for me. Control. I have to be in control. I’m OCD with a few things and I’m scared of losing control. I’m hypersensitive. I can’t seem to handle emotions, positive or negative. I get all tight chested and I have to run or hide. I care only about what others think and I don’t know why. We did a lot of talking and looking into these points and it all seems to boil down to control. Control is a negative word isn’t it? Very interesting – the power of a simple word and its effect on the mind. We talked about how we want to run away or hide when we lose control or think we are going to and how this is natural instinct known as ‘fight or flight‘. We talked about how in my case it’s gone to the extreme and is overwhelming and to the point it’s stopping me living life normally. We talked about past events and how I’m still hurt by them; and how I feel like I am to blame yet I’m not. She asked me about me as a person, and who I am deep down. Well I think sometimes I’m clever, I know I have a good head on my shoulders. I know that I am honest and a true friend. I’m a geek and a tomboy. I never fitted in at school and I was always ridiculed for things I did and believed in. Age 32 I’m proud that I’m fascinated by architecture and history. I’m proud that I love gaming. I’m proud that I’m comfy in a pair of trainers and a tea dress and I couldn’t give two fucks if I’m not ‘on trend’ or a girly -girl. So why if this is the real me am I crippled by thoughts that I’m a failure and not good enough? Why do I care what people think of me? I’d forgotten about that part of me. Somewhere buried deep inside is a version of me that I can see again – she flaunts her historical knowledge and chats excitedly about Rollercoaster Tycoon(2 of course, it was the best). She bounds out of the house wearing clothes that clash hideously because it makes her happy. She wears her bright blue eyeliner with pride. She rocks her huge bum and monster thighs. She can look strangers in the eye. She can eat in public. And I saw her today; albeit for a split second, but she was there. So this week my homework is to carry on being kind to myself and looking into my thoughts and feelings a little more. Embracing who I am and being kind to myself. Next week is all about starting to learn coping mechanisms and how losing control isn’t bad. We didn’t talk about food in detail this week; because it goes way deeper than just an eating problem. I lose control, I eat. I keep control of what I eat, I win. I lose control, I fail. And so it goes on. I will beat this. I won’t lie I’m completely exhausted after an hour examining my innermost thoughts but it feels good. Thank you all for your support and love as always, and if you feel affected by anything I talk about or would like to talk about anything, please email, tweet or message me – you are not alone. Sounds better than my 30 mins a week which was a waste of time.